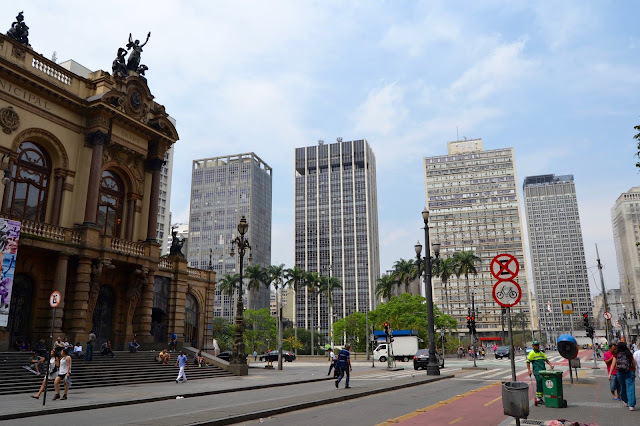 São Paulo is actually in the Top 10 biggest cities with about 12 million people in the actual centre and over 20 million in the metropolitan region. It is definitely the biggest city I have ever been to and it is no joke, I honestly felt so overwhelmed by this huge city. It is very multicultural and has so many different cultures and quarters and I know so many people that absolutely love it. But my two cents on the ongoing huge debate, of São Paulo vs. Rio I will go Rio all the way. 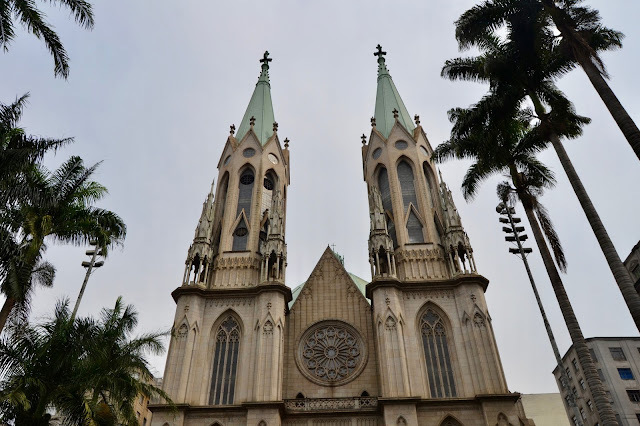 But if you are in Brazil you should really not miss out on this city and if it is just for the experience and to get a glance at what life is like in a city, that is not as touristy as Rio. The bus station of Sâo Paulo Tietê is the biggest of all of South America and buses to basically ever city in the continent leaves from here. We took the bus from Paraty, which took about 6 hours, but as I said there will be plenty connection wherever you are. The bus station has its own connection to the underground (prepare to queue and prepare to do it for a while), so getting into the city is no problem. Otherwise flying into Sāo Paulo might be worth it as well, we just had a layover here, but realistically the flights in Brazil are not that much more expensive than buses if you book in advance. It can be quite difficult to get an overview of São Paulo, if you don´t know a local just due to the sheer size of the city. 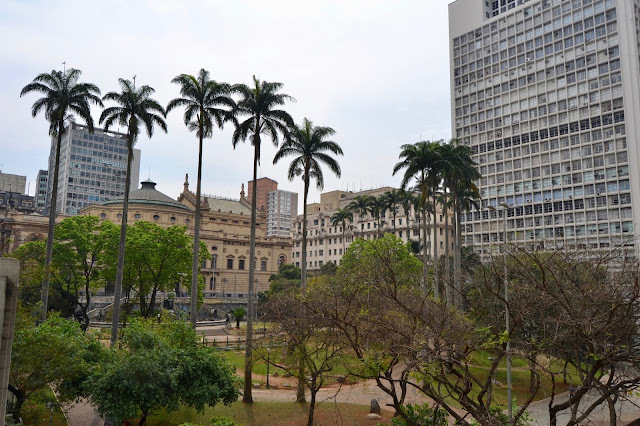 We only had one full day in São Paulo and decided to do a walking tour in the downtown area with SP Free Walking. It was really great to get at least a bit of an overview and to learn more about the history of Sāo Paulo. We sadly were not there for a day, where they offer the Via Madalena tour. Via Madalena is basically São Paulo´s hip and artsy quarter and is supposed to have amazing street art, nice bars and cafés, so it really is a bummer we missed out. Also make sure to head to the Japanese quarter Liberdade. It is so fascinating how different the look and vibe there is even the streetlight look Japanese! That was definitely a really cool experience and kind of like experiencing another little city within a city. There is also a number of great view points in the city, one of them is in the ridiculous mansions of a very rich Paulista. 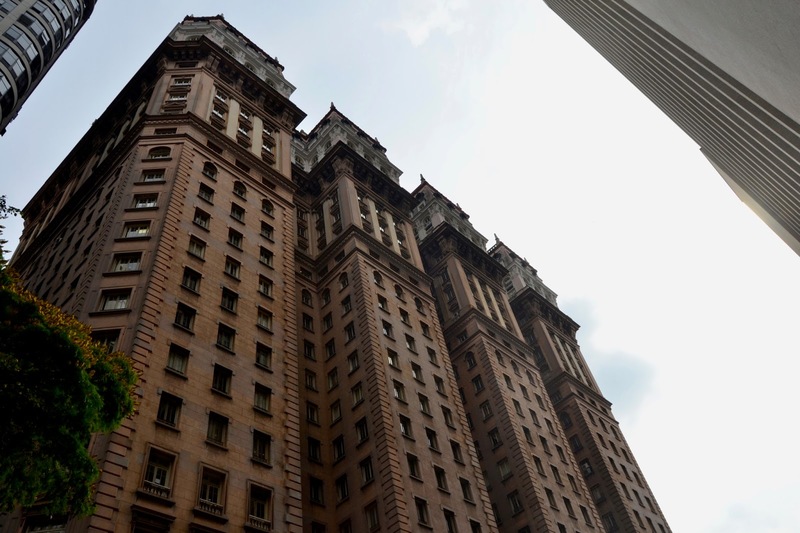 He was so determined to have the highest building in Brazil, that even though you were only allowed to build 22 stories high, he just decided to pop another house on top of his building with 6 extra stories. You can actually get up there for free Monday through Friday from 9 to 11 am and 2 to 4 pm at every half hour, which will be a lot cheaper than chic rooftop bars. Sāo Paulo is famous for its great Japanese and Italian cuisine. These are the biggest immigrant groups in Sāo Paulo and you can get really, really great food there. Definitely head to Liberdade for Japanese food and especially for the incredibly good and really cheap Sushi. Also make sure to get pizza, which may be the only authentic pizza you will get in Brazil, however even in other cities you can get great Nutella pizza. Not really traditional, but still incredible. I did not love Sāo Paulo. It may be that I did not give it enough time, that I did not go to the right spots and maybe I missed out. But for me personally this city was just way too big, too messy and honestly not pretty enough. Rio is huge, but it is so full of nature, so close to the beach and honestly gorgeous. I may be biased and I do not want to bash SP. I would always recommend going, just for the experience, but it left me really stressed out and confused. I went for a day and that was more than enough. It may be ideal for a layover and just a little bit of sightseeing and it may be one of those cities where hitting up a local to show you around on Couchsurfing may be best. Go have some pizza or some sushi and experience a bit of the city, but don´t be discouraged if it makes you feel really small. To be honest a city of 20 million people can do that pretty quickly. Amazing impressions! Sao Paulo looks amazing!